Illinois advanced to the match-play portion of NCAA Championships for the third time in the last four years, tied for the most in the nation over that time period. The Illini fell to top-seeded Stanford in the quarterfinals, ending the season tied for fifth nationally. Illinois reached the NCAA Championships for the seventh-straight season, becoming one of only five schools in the country with an active streak at least that long. The Illini won four tournaments in 2013-14, including the NCAA Sugar Grove Regional, their second-straight regional title. Illinois broke school records for team single-season stroke average, low 54-hole team and individual scores and individual season stroke average. The Illini posted a 285.38 season average and Brian Campbell broke Luke Guthrie's individual record with a 71.08 mark. Campbell also broke the 54-hole school scoring record with a 197 at The Macdonald Cup, where Illinois also broke the 18-hole, 36-hole and 54-hole team scoring marks. 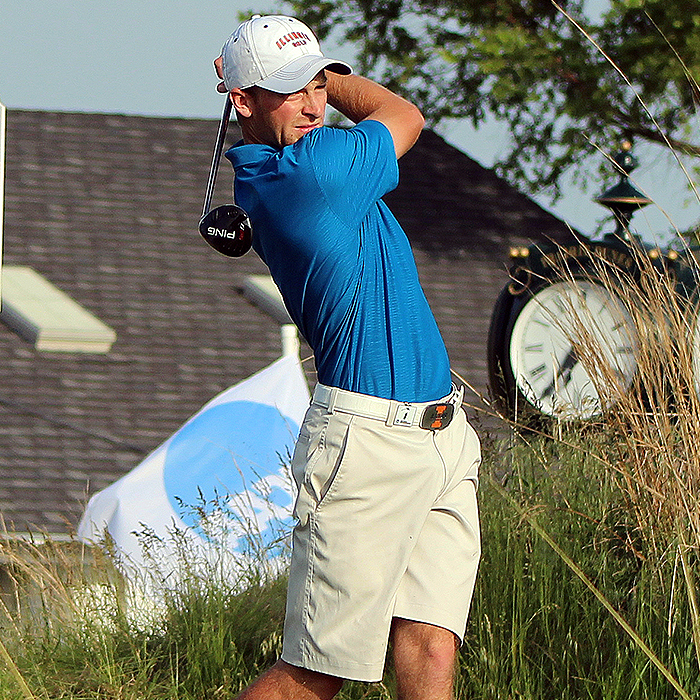 And Campbell tied the 18-hole school record with a 63 in the final round of stroke play at the NCAA Championships.